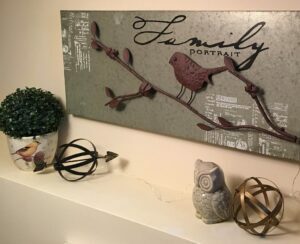 Can you spot the dollar store finds in this vignette? Answers below. How do we stretch our budget while getting the look that we want in our home decor? My answer is dollar store decorating — it’s fun, creative and inexpensive. Many don’t know either where to begin or what decisions are the best to make when decorating their home. We’ll have a dollar amount in mind or that we set aside for decorating or updating and, of course, we would all love to accomplish as much as we can with the dollars we have. My passion is helping homeowners update their homes by getting the look they want without breaking the bank. And my favourite way to do this is to shop at the dollar store for decorating touches. 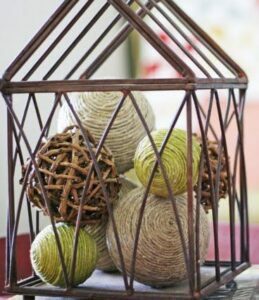 Today’s dollar stores do an amazing job of taking home decor trends and creating knock-offs to bring them down to a much lower price point. Plus, since trends come and go quickly, dollar store finds can be a great way to test one out without having to spend a lot. You can find just about anything for your home — kitchen, bathroom, walls, accessories, painting supplies and more. It’s like searching for treasure. And you never know what you’re going to find. That’s why I make sure to go up and down each aisle, so I’ll never miss a treasure. Approach your visit this way and you’ll begin to see items that you never thought you could use in your home. One of my favourites is boxes and bins — any type of storage that can be used to organize your home. 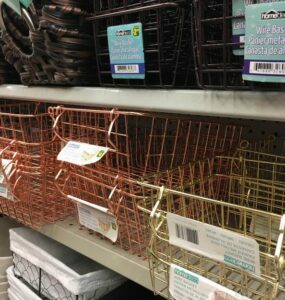 A big trend we are seeing this spring, especially in closets, is wire baskets in various shapes, sizes and shades of metal. It’s so easy to purchase a few of these to give your closet an inexpensive makeover while looking “current” and saving big bucks. Your pantry can also be organized with plastic bins and containers, saving you time and money. Have an empty lantern, terrarium or large bowl at home and don’t know what to do with it? Try a bag of decorator balls to add a fresh take on your space. 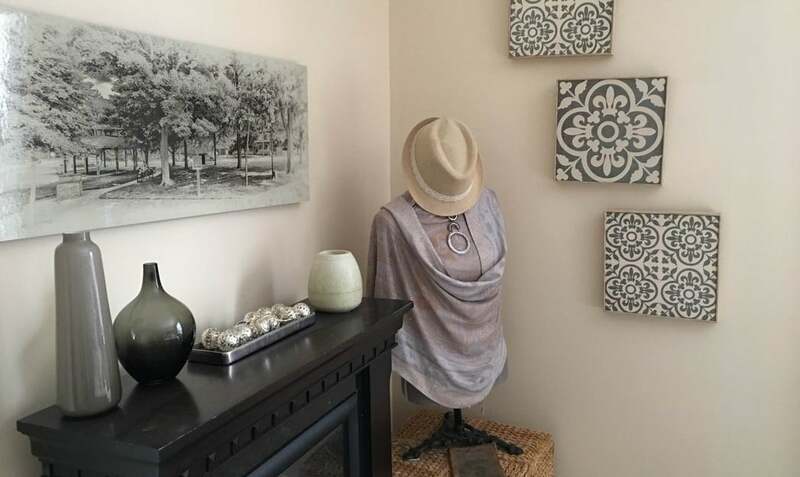 Accessories of all sizes can be used to create final touches to vignettes or shelving displays. Here an owl and wrought iron orb make a perfect pair. Small changes and a small budget can have a big impact on your space. 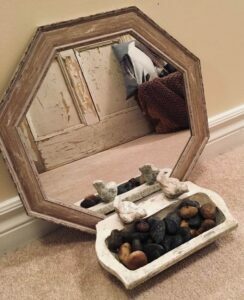 For instance, adding a unique octagon mirror and a cement bird feeder filled with river rocks really creates a warm welcome when placed at the front entrance of your home. My secret when using dollar store finds is to incorporate them into my overall decorating scheme. When guests come over and I mention that many of the items in my home are from the dollar store, they actually try to figure out which ones they are — and many times they cannot point out the dollar store treasures. 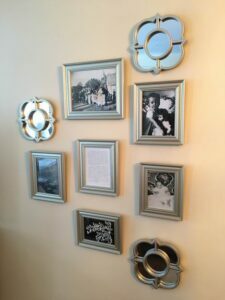 Here, for instance, three uniquely shaped dollar store mirrors add the finishing touch to a wall arrangement in my living/dining space. You’d never know they are from the dollar store. Did you spot the dollar store finds in the photo at the beginning of this column? They are the metal lights in the tray, the hat and the wall art trio. Before you go, make a list of what types of things you might be looking for. At the store, start at one end and visit each aisle so you don’t miss anything that could be that perfect addition to your home. When you see something you love, pick it up right away. If you don’t, chances are it won’t be there when you go back, or you’ll forget what or where it was. See you at the dollar store! Sue Pitchforth of Decor Therapy Plus is an international award-winning designer and Readers’ Choice winner for eight years in a row. Sue is a TV personality and professional speaker who takes a refreshingly unique and inexpensive approach to design that yields luxurious results. Believing your home is an expression of your life and personality, Sue says most people usually have a lot of what they need, they just don’t know it. She uses her popular workshops and seminars to inspire homeowners and her newest program is Design & Property Styling from a Distance. 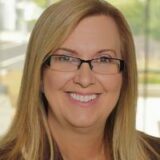 Having recently relocated to Ottawa, Sue is thrilled to be here and is already helping homeowners make the most of their spaces.